Deluxe 12" Hardwood Floor Tool with Natural Horsehair Brush Bristles use with Rainbow, Kirby, Miele and More. Product prices and availability are accurate as of 2019-04-18 17:28:49 UTC and are subject to change. Any price and availability information displayed on http://www.amazon.com/ at the time of purchase will apply to the purchase of this product. 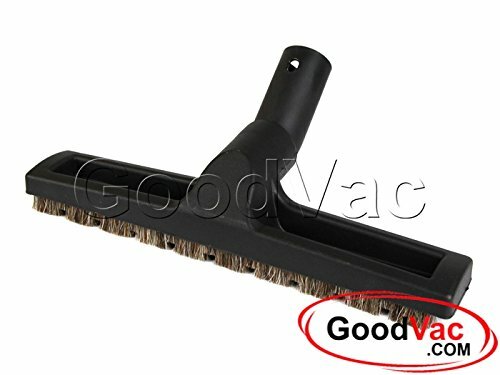 12" Floor Tool with Natural Horse Hair Bristle manufactured by GoodVac. Fits vacuums with 1 1/4" Friction fit attachments. 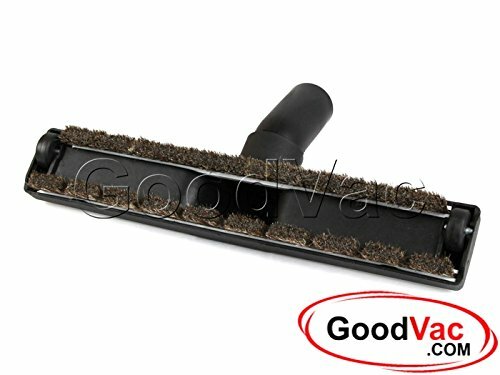 This Floor Nozzle is manufactured by GoodVac from high quality, durable plastic and attaches easily to the most vacuum cleaner extension wands. It features 360 rotating swivel, natural horse hair bristles and scratch-free rubber wheels. This tool will fit all vacuums that use 1 1/4" friction fit attachments. Perfect replacement for Rainbow 12" Floor Tool part numbers R13362 and R14410. Could be used as a Kirby replacement for part number 932806. For use with Rainbow, Kirby, Nutone, Central Vacuum, Oreck, Miele, Bissell, Cen-Tec and many more. Manufactured by GoodVac. One 12" Hardwood Floor Tool with Natural Horse Hair Bristle, manufactured by GoodVac. Fits vacuums that take 1 1/4" friction fit attachments. Durable High Quality plastic and scratch-free rubber wheels. Natural Horse Hair Bristles. Perfect for use with Rainbow, Kirby, Oreck, Miele, Bissell, Cen-Tec, Central Vacuum, Nutone and many more!